If your Application Materials get you the remote interview, then the Remote Interview gets you the on-campus interview. Which means that the on-campus interview gets you the job. So. Here we are. High pressure. At the 12-20 hour on-campus interview. Smaller schools only do a 12-hour (one day) interview, often including an 8am breakfast, dinner with the search committee, and no breaks. The longer two-day long interviews often have some breaks built in, but may also build in three dinners with various faculty. So, how does one survive 12-20 hours of interviews? Above is the interview-specific things you need, from the female perspective. I've done a handful of interview trips now, and this is pretty close to my final list. Dress professionally, preferably involving a blazer. 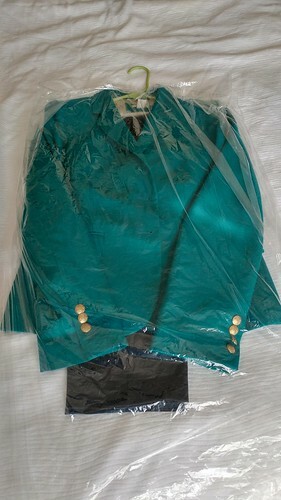 I've also been successful with the green blazer + ankle pants separates on the right...and also done a successful job talk in the ankle pants plus a ruffle-front black plaid button-down blouse, no blazer. Doesn't have to be expensive, but get that ish tailored (campus visits tend to occur the month after the application deadline). I generally avoid skirts during the interview process, because I really don't care to other myself any more than absolutely necessary. If there's a second day of interviewing, I pack an entirely different second outfit. If it's just a second dinner meeting, I only pack an extra blouse. I love my duffel coat, but a pea coat will work too. La Canadienne Boots (they're waterproof and lined, perfect for walking around New England campuses in January while still looking good). The shoes don't have to cost $200, but you get what you pay for. I got a good eBay deal on a pair because they had an unnoticeable blemish. Wool Socks (once again, New England winters). No, this is not clothing, but it is useful for not being separated from your interview clothing. Weather specific items: an umbrella? Kindle, mp3 player, earbuds, knitting, eye mask, scarf, neck pillow, etc. Whatever you need to get you through days and days of airports. 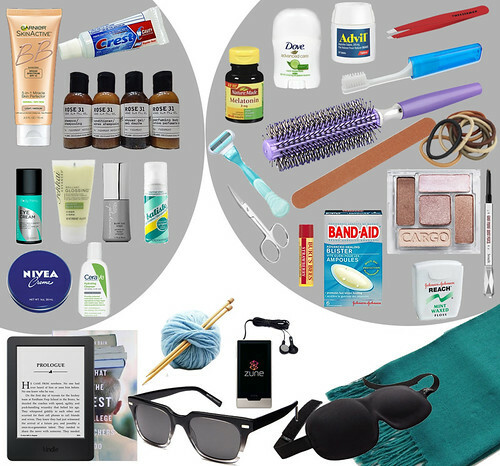 Face products, Hair products, Teeth products, Nail products, Pharmaceutical products, and whatever else you can fit in two toiletries bags. Melatonin and Tylenol PM, if you tend to suffer from poor sleep / anxiety the night before the interview. 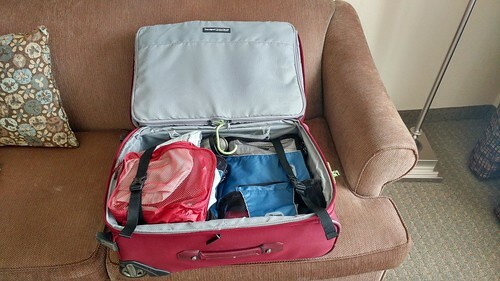 Especially important to bring soap/shampoo if the school is putting you up in a non-hotel, such as a campus guesthouse. 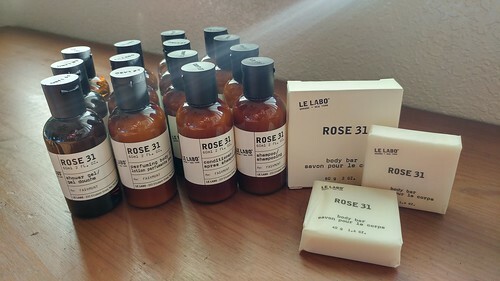 For my interview pack list, I like to pack high quality shampoo/conditioner, like the Le Labo Rose 31 travel-sizes I borrowed from our honeymoon hotel. Taking a rose-scented shower while cheapo-steaming my suit in the bathroom is the loveliest little pick-me-up. Stuff you need to carry around with you for the 9-20 hours. 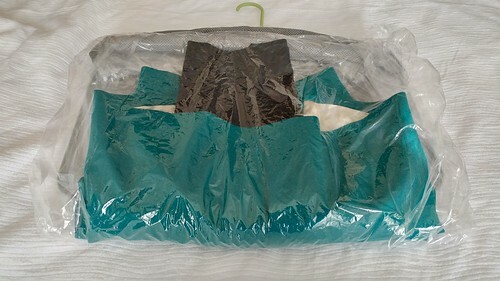 Transport suit on hanger with dry cleaner plastic bag over it. 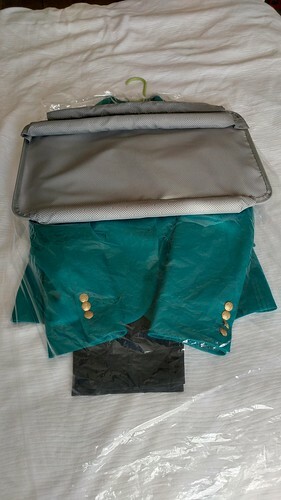 Fold suit in half (if your suitcase has a special padded insert for suits, like my goofy one does, then fold it over the padded edge of the insert). Take out your reusable grocery bag. 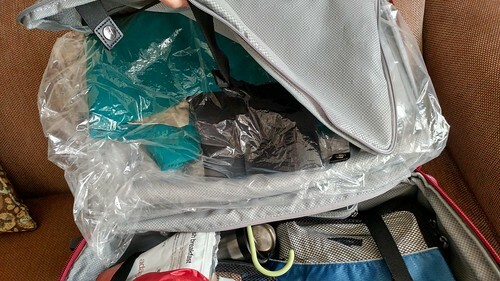 Remove interview clothing from roller-bag (this is where packing cubes are handy). Place clothing/toiletries in reusable grocery bag. Check your now-empty roller-bag to its final destination. 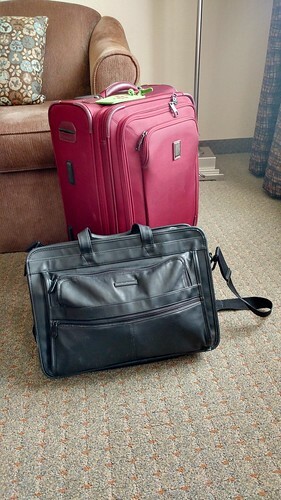 It's best to do this slightly out of the sight of the staff, as you are basically now making it so you have 3 carry-on pieces of luggage. Hide your briefcase in the reusable shopping bag, too, as needed for this part. I'm really, really digging your series and I know it's going to help those looking for some help during this exhausting process. I do want to add that with regard to what you pack, I think people need to pack what they feel professionally comfortable in. I wore a black sheath dress + grey suit jacket for my interviews. I've never felt comfortable in an actual business suit -- regardless of tailoring they've always fit me weird and I felt like I was playing dress up. I think you need to feel as comfortable as possible when on the market, given that most of us don't dress in business professional every day of our lives. I'd also add a nice portfolio/padfolio. It doesn't have to be super expensive of buttery leather, but having a solid brown or black portfolio that you pull out with notes or questions is a nice representation of being a professional ready to enter into the academic world. Nicole, these are good points. They don't necessarily work for me, but they may work for others. This post is pretty much a reflection of what works for me, but there's certainly room for other possibilities. "Dress professionally, preferably involving a blazer" likely covers the dress comfortably professionally. I am not mentally comfortable with a dress/skirt due to the already rather drastic gender differences in academia, but wear what you like, professionally. From my perspective, the campus visit is largely about a personality fit. I would not recommend doing anything that interrupts eye contact or conversational flow. I also would not recommend doing anything that poses you as a student rather than a peer. For these reasons, I never take notes during these interviews, and I never break out a notebook from which to ask pre-written questions. If you're going to do so, yes, it should be professional, but I'm a bit leery of the perception any such action may intimate.